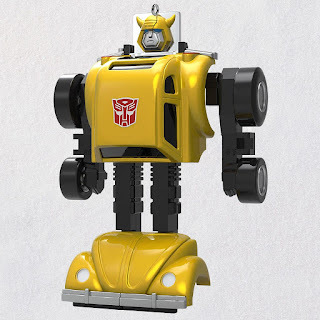 Hallmark unveiled their 2019 Transformers Christmas tree ornament and I'm happy to see it's Bumblebee! Based on the 2004 Encore version of the mold that was used in the recent Walmart 'vintage series' exclusive, Bumblebee sports a cartoon accurate head sculpt. Which is more recognizable for the casual audience, though I do guess his original versions face mask does look like the movie incarnation. Personally I'm pretty excited for this. I love the Hallmark Christmas TF ornaments. Specially these toy based ones that are almost perfect replicas of the toys. 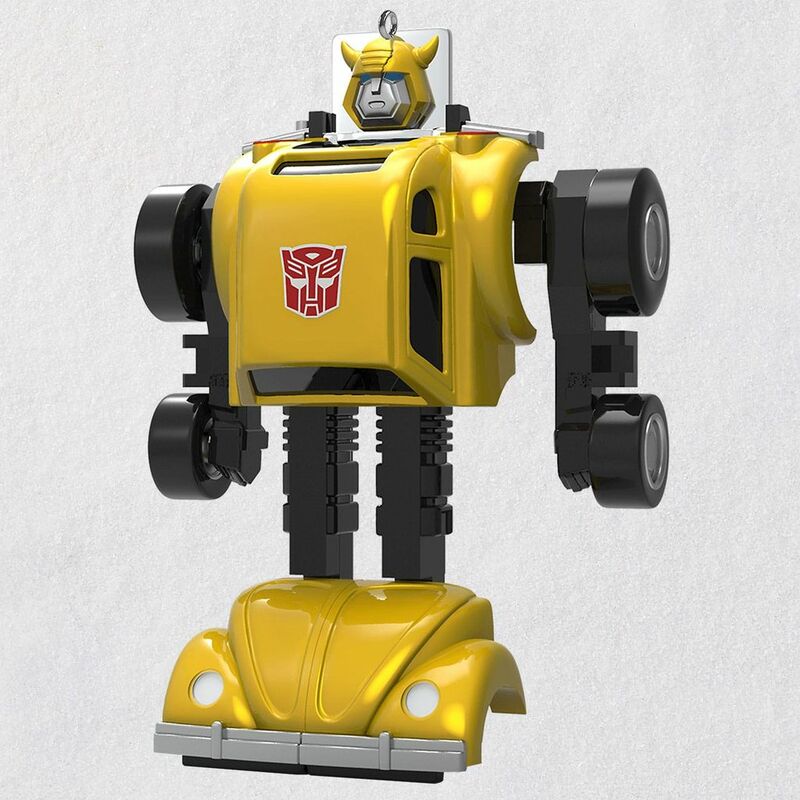 Bumblebee here is just a render, but it looks damn near identical. It looks great. I'll be sure to get it this summer and probably never actually hang it on the tree.